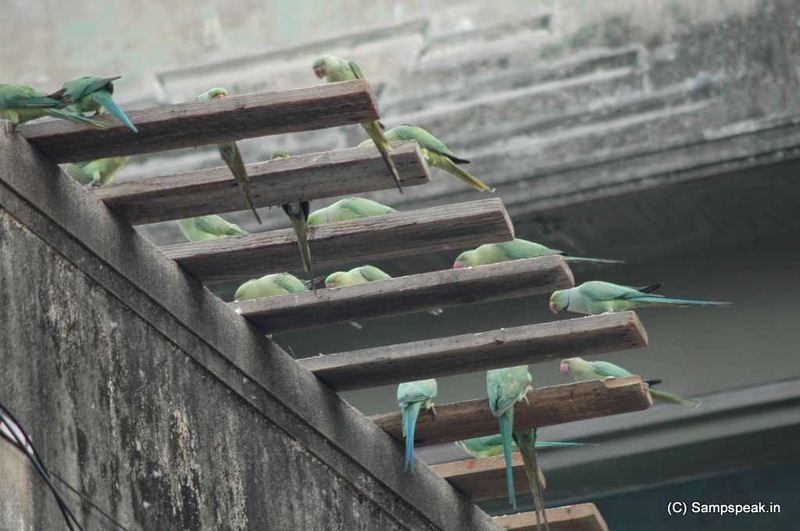 Bharathi Salai, earlier known as ‘Pycrofts road’ wounds its way from Marina ground [Kannagi Statue / Presidency college] till Royapettah Tower clock – or more famously the EA Mall now….. the mall built on 10 acre site is a landmark – a place frequented by youngsters now… Parrots, also known as psittacines are birds of the roughly 372 species in 86 genera that make up the order Psittaciformes. 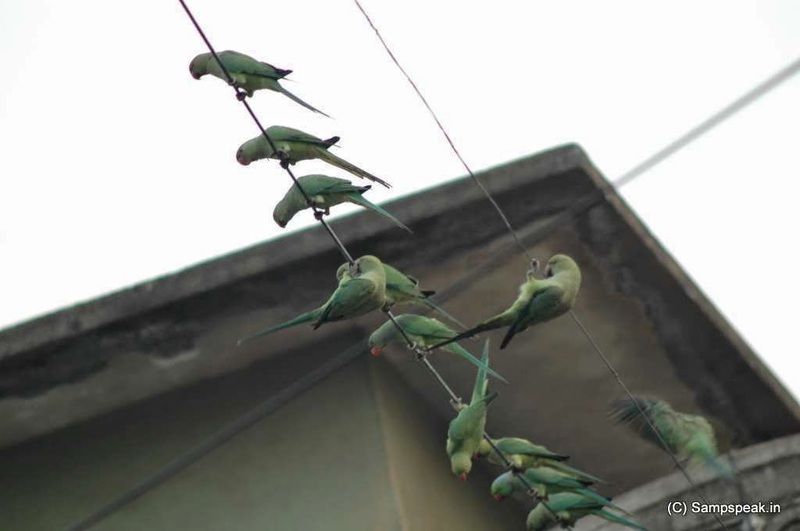 Though we may never understand those differences, for sure, we get attracted by that great green parrot with red beaks. Parrots are among the most intelligent birds, and the ability of some species to imitate human voices enhances their popularity as pets. 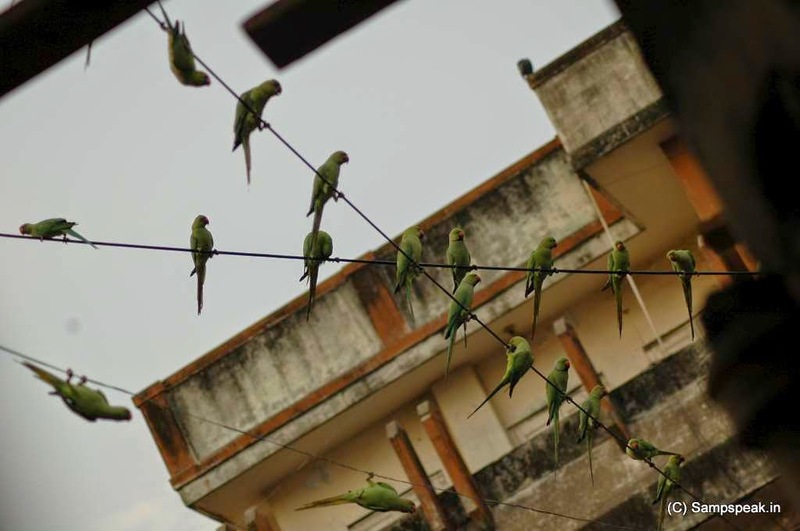 When was the last time you saw a free parrot in close quarters………. That post described in detail my choice encounter with hundreds of them along with the man who has been feeding them for decade. 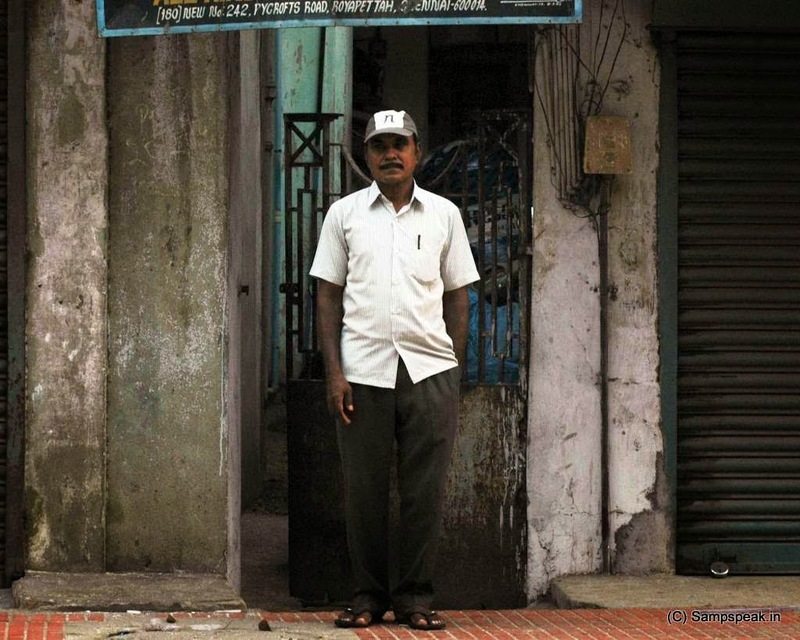 Mr C Sekar could pass off as another next-door neighbour…. He is a well known photographer – a camera repairer – there was this impressive article in The Hindu a few years ago on his collection of about 4,500 cameras - in different shapes, sizes, colours and brands. Royapettah is a crowded area and Pycrofts road nearer EA bursts in traffic. On this part of the road, there are so many shops dealing with mattresses, pillows and other accessories that mankind requires for peaceful sleep in the stressful world… there are vehicles of every kind as men and machines jostle for space… in the mornings and in the evenings, one must lift their head – to see the ‘natural stress buster’………… the most beautiful green parrots lining up. I thought of doing a follow-up round up, not to check – as I could easily understand the passion with which Sekar has been taking care of them......... this time, I was equipped with a better camera and hence was enamoured to go again – to click some more photos of those beautiful birds and hear their chirping more.